Curses, foiled again: Sheriff DAVID SHOAR (right) and County Administrator MICHAEL DAVID WANCHICK, who never met a "developer"to which they did not curtsey? Three cheers for Florida's State Supreme Court, which correctly ruled May that counties don't get to hold referenda on slot machines. Thanks to St. Johns County Commissioner Jeb Smith, then Chairman, and his fellow commissioners, then Vice Chairman James John, former Chair Jay Morris, and then Commissioners Rachael Bennett and William McClure, last year for keeping this illegal referendum of the ballot here in St. Johns County. Like Horatio at the Bridge, they stood up for all of us. Thanks to dogged St. Augustine Record reporter Jake Martin for his investigation, before the Commission vote. Thanks to former Governor and Senator Bob Graham and his counsel, former State Senator Daniel Saul Gelber, eelfor his amicus curiae (friend of the court) brief. Organized crime took a major defeat yesterday, as did the unjust stewards of the following counties, who actually put illegal referenda on their ballots: Brevard, Duval, Gadsden, Lee, Hamilton, Palm Beach, St. Lucie and Washington. In a case brought by the owners of Gretna Racing in rural Gadsden County, the court upheld the decision by the Florida Division of Parimutuel Wagering to deny a slots license, arguing that state law does not authorize counties to conduct referendums to enable slot machines gaming. "In the absence of such a specific authorization, a county cannot initiate a referendum that will authorize the Division to issue a license any more than the county could itself issue a slot machine gaming license," wrote Justice Charles Canady who authored the ruling. If the ruling had gone the other way, five of the state's eight most populated counties could have been allowed to have slot machines at horse and dog racing tracks. 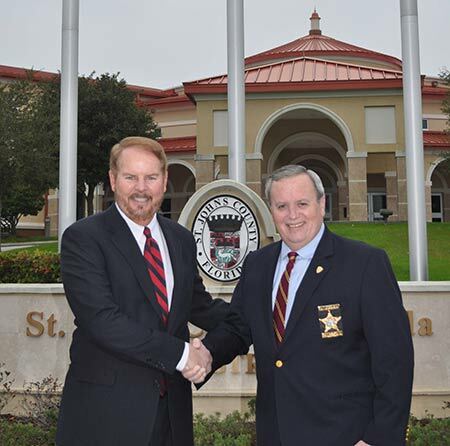 Only Hillsborough, Pinellas and Orange counties still would have been without them. The decision was signed by five other justices, including the court's newest justice, Alan C. Lawson, who did not participate in the oral arguments made before the court last June. Justice Peggy Quince recused herself because her daughter works for the gaming division of the Department of Business and Professional Regulation. Gretna's lawyers had argued that when the Florida Legislature modified the slots statute to allow Hialeah Park to operate slot machines it opened the door for other counties to seek voter approval to bring the games to their pari-mutuel facilities. But, Canady argued, that while "slot machine gaming is permitted under tight restrictions as laid out by the Legislature in chapter 551" nothing in the statute "grants any authority to regulate slot machine gaming to any county. The only role that counties play regarding slot machine gaming is conducting referenda when authorized by law." The court's ruling halts the prospect that the state could see the explosive growth of slot machines anytime soon. Eight counties — Brevard, Duval, Gadsden, Lee, Hamilton, Palm Beach, St. Lucie and Washington — had voted to bring casinos to their stressed horse and dog tracks or jai-alai frontons and were hoping on a favorable ruling from the court to allow them to start installing the machines this year. "The good news is there will not be thousands of slot machines coming to Florida without further action by the legislature," said John Sowinski, President of No Casinos, a non-profit group that opposes expanded gambling in Florida. The decision also has the potential to revive talks between the governor and Legislature with the Seminole Tribe of Florida over allowing them to operate casino games exclusively in Florida in exchange for annual revenues of as much as $300 million. "It looks like it is very good for the state of Florida and the Seminole Tribe," said Gary Bitner, a spokesman for the Tribe. If the court had allowed counties to expand slot machines across the state, it could have invalidated the gaming compact that gives the tribe exclusive operation of slot machines outside of Miami-Dade and Broward counties in exchange for $120 million a year in revenues to the state. "That could have had far reaching negative impacts to the state," Sen. Bill Galvano, a Bradenton Republican who has been at the core of the Legislature's gambling negotiations for the past seven years. While the decision stops Gadsden and other counties from moving forward with slot machines immediately, it doesn't mean those counties won't get such an approval from the Legislature later, he said. "It doesn't mean this issue is gone," Galvano said. He said the Legislature could still opt to allow those counties to have slot machines, but under terms spelled out by the Legislature after consultation with the Seminole Tribe. That was a key part of the negotiations between the House and the Senate over a gambling bill that died in the final days of the Legislature's annual session that ended on May 8. The Senate was pushing for legislation authorizing counties that had countywide votes to have slot machines, while the House opposed that provision. The court heard arguments in June 2016 from owners for Gretna Racing that the rural racetrack should be allowed to install slot machines because it has the approval of county voters. Much of the case hinged on conflicting legislative intent in existing law. Voters approved the statewide constitutional amendment allowing slot machines in Miami-Dade and Broward in 2003. In 2009, the Legislature modified the law that authorized those slot machines by allowing Hialeah Park Racing, which was not included in the original law, to be eligible for a slots license. When that bill was passed, Gretna race track was not an operating pari-mutuel facility, but in 2010, the Legislature again changed the law to allow counties to authorize slot machines. Gretna argued that the change applied to all counties, but the state argued that the slots expansion is only allowed if it is first approved by the Legislature or the state Constitution. Gretna's lawyers challenged that claim, saying the law authorizes a license if a gaming company gets voter approval and runs pari-mutuel races for two years "after the effective date of this section." The state argued that the case relies on more than grammar and semantics and urged the court to uphold a First District Court of Appeal decision which voted 2-1 to reject Gretna's slots license because the Legislature did not authorize slot machines outside of Miami-Dade and Broward counties. Gretna's lawyer, Marc Dunbar, argued that because the court ruled in 2004 that the Legislature had the authority to expand gambling without voter approval, and the attorney general and solicitor general didn't raise the point. Justice Barbara Pariente asked Dunbar why lawmakers would authorize slot machines at pari-mutuel facilities in Miami-Dade and Broward but not specifically authorize them elsewhere. "To basically say to 65 other counties you just have to have a referendum and, if you're a home rule [county], you're fine," she said. "This would have been a very, very significant expansion of slot machines … and there is nary a mention in the legislative record of this kind of change." Dunbar suggested that when the language was first written in 2009, it was a compromise between the House, which opposed expanded gambling, and the Senate, which wanted to allow slot machines in other parts of the state. "They were trying to meet in the middle," he said. He noted that lawmakers also gave themselves a year to come back and modify the compact with the Seminole Tribe if they authorized gaming outside of Miami-Dade and Broward. Legislative leaders reached by the Herald/Times, however, offered a divergent view of what lawmakers were thinking when they passed the law. Rep. Alan Williams, a Tallahassee Democrat and supporter of Gretna Racing, said he voted for the change to allow counties the opportunity to bring slot machines to their pari-mutuels and "our intent was never to hamstring the counties and tell them what they could not do." But Sen. Bill Galvano, the Bradenton Republican who has been at the core of the Legislature's gambling negotiations for the past seven years, had held that when lawmakers adopted the change to the state gaming law in 2010, they did not intend to open the door to the expansion of slot machines as Gretna Racing and seven other pari-mutuels around the state are claiming. "It was not the intent of the Legislature to open the door for counties to hold their own referendums to allow the expansion of slots," he said. Attempts to clarify the terms of the referendum language have been drafted every year for the past several years but died amid infighting between the competitive factions of the gaming industry. In the absence of legal clarification, the law has become another vehicle for gaming owners across the state to use as a method to get access to a lucrative slots license. After the law was passed, Dunbar and his legal partner, David Romanik, joined with other investors and the Poarch Band of Creek Indians of Alabama to build a racetrack in Gretna, a low-income community north of Interstate 10 in Northwest Florida. If they succeed in getting a slots license, they hope to build the biggest entertainment and gambling complex east of Biloxi, Mississippi. TALLAHASSEE | The Florida Supreme Court on Thursday upheld the state’s denial of slot machine licenses in a county where slots were approved in a voter referendum. Bestbet spokesman Brian Hughes said the company was disappointed by the ruling but hopeful that the Legislature will pass new laws that negate its effect. “Something it clearly demonstrates is that the Legislature still has an opportunity to respect the will of the people at the local level,” Hughes said. The Florida Senate is in favor of changing state law to allow slots in counties where voters approve ballot initiatives, but House leaders have balked at the idea. Disagreement on the slots issue is a main reason why the state was unable to pass substantial gambling legislation in the just-concluded session. That has bogged down related negotiations with the Seminole Indians, who control many of the state’s casinos. In addition to Gadsden and Duval, voters in Brevard, Hamilton, Lee, Palm Beach, St. Lucie and Washington counties have approved slots initiatives. The Supreme Court’s unanimous ruling concluded that state law does not allow local referendums in these counties to determine whether slots can be allowed there. Gretna Racing sued the state after Gadsden County voters approved a ballot intiative in 2014 and its application for slots licenses was denied. Earlier this year, the state also denied Bestbet’s application for 2,000 slots licenses. State law currently allows casinos only in Miami-Dade and Broward counties and on tribal lands like the casinos controlled by the Seminoles. The anti-gambling group No Casinos celebrated the ruling. It is also backing a ballot initiative in 2018 that asks Florida voters to further limit the expansion of gambling. jurisdiction. See art. V, § 3(b)(4), Fla. Const. Gretna Racing contends that the Division was required to issue the permit once the voters had answered the ballot question in the affirmative. Based on the provisions of chapter 551, Florida Statutes (2013), governing slot machines and the law establishing the powers of non-charter counties, we conclude that the Division’s denial of the slot machine permit sought by Gretna Racing was correct because submission of the ballot question to the voters was not legally authorized. the governing bodies of Miami-Dade and Broward Counties each may hold a county-wide referendum in their respective counties on whether to authorize slot machines within existing, licensed parimutuel facilities (thoroughbred and harness racing, greyhound racing, and jai-alai) that have conducted live racing or games in that county during each of the last two calendar years before the effective date of this amendment. Id. § 23(a). The provision specified that slot machines will be authorized for qualifying facilities upon approval by the voters, id., and directed the Legislature to adopt implementing legislation, id. § 23(b). Section 551.104(1), Florida Statutes (2013), provides for the issuance by the Division of licenses “to conduct slot machine gaming.” Under section 551.104(1), the Division is authorized to issue such licenses to an “eligible facility”—a term that is defined in section 551.102(4). But section 551.104(2) goes on to establish an additional condition for the issuance of licenses: “An application may be approved by the division only after the voters of the county where the applicant’s facility is located have authorized by referendum slot machines within pari-mutuel facilities in that county as specified in s. 23, Art. X of the State Constitution.” So by its plain terms, section 551.104(2) limits licenses to facilities in counties where the voters have approved slot machines as provided by article X, section 23— which does not extend beyond Miami-Dade and Broward Counties. effective date of this section in the respective county, provided such facility has conducted a full schedule of live racing for 2 consecutive calendar years immediately preceding its application for a slot machine license, pays the required licensed fee, and meets the other requirements of this chapter. This statutory definition contains three clauses—indicated by the bold bracketed numerals—that address distinct circumstances. The first clause implements article X, section 23. It was adopted in 2005. See ch. 2005-362, § 1, Laws of Fla. The second and third clauses were both adopted in 2009. See ch. 2009-170, § 19, Laws of Fla.1 The second clause pertains to facilities in counties “defined in s. 125.011”—that is, “any county operating under a home rule charter adopted pursuant to ss. 10, 11, and 24, Art. VIII of the Constitution of 1885, as preserved by Art. VIII, s. 6(e) of the Constitution of 1968, which county, by resolution of its board of county commissioners, elects to exercise the powers” conferred on such counties. § 125.011(1), Fla. Stat. (2013). The second clause has no referendum requirement. And it has no application to Gadsden County. 1. Although the second and third clauses were adopted in 2009, their effective dates were expressly made contingent on, among other things, the ratification of a Gaming Compact between the Seminole Tribe of Florida and the State of Florida. See ch. 2009-170, § 26, Laws of Fla. The Gaming Compact was subsequently ratified during the 2010 legislative session, and the second and third clauses were then made effective as of July 1, 2010. See ch. 2010-29, §§ 4-5, Laws of Fla. The controversy in this case in large part centers on the third clause. More particularly, it centers on whether Gadsden County is a “county in which a majority of voters have approved slot machines . . . in a countywide referendum held pursuant to a statutory or constitutional authorization after the effective date of this section.” § 551.102(4), Fla. Stat. (2013). As we subsequently explain, we conclude that the third clause—properly understood—is dispositive. But first we briefly review the grounds for the Division’s denial of a slot machine license to Gretna Racing, the ruling of the First District regarding those grounds, and the question of great public importance certified by the First District. The Division denied a slot machine gaming license to Gretna Racing based on the Division’s conclusion that the requirements of neither section 551.104(2) nor the third clause of section 551.102(4) had been satisfied. by the Legislature’s subsequent adoption of the second and third clauses of section 551.102(4). Concerning the third clause of section 551.102(4), the Division focused on the portion of the text referring to “a countywide referendum held pursuant to a statutory or constitutional authorization after the effective date of this section.” (Emphasis added.) The Division interpreted this language as requiring that the “statutory or constitutional authorization” for a referendum be an authorization adopted “after the effective date” of the third clause. In adopting this interpretation, the Division relied on an opinion of the Attorney General. See Op. Att’y Gen. Fla. 2012-01 (2012) (concluding that “all pertinent considerations confirm that the Legislature intended that any statutory or constitutional authorization for a slots-approving referendum must occur after July 1, 2010, the effective date of the relevant portion of section 551.102(4), Florida Statutes”). The Division therefore rejected Gretna Racing’s reliance on section 125.01(1)(y), Florida Statutes (2013), which permits the governing body of a county to conduct “straw ballots,” because that “authorization” was adopted prior to the effective date of the third clause of section 551.102(4). it has no binding legal effect. Moreover, nothing in the language, structure, or history of slot machine legislation, including section 551.102(4), Florida Statutes, provides authorization for the holding of slot machine referenda in counties other than Miami-Dade and Broward counties. Whether the Legislature intended that the third clause of section 551.102(4), Florida Statutes, enacted in 2009, authorize expansion of slot machines beyond Miami-Dade and Broward Counties via local referendum in all other eligible Florida counties without additional statutory or constitutional authorization after the effective date of the act? that the failure of this argument is sufficient to resolve this case in favor of the Division. To explain our decision on this point, we turn first to the text of the constitutional provision and the general statutory provisions relied on by Gretna Racing. NON-CHARTER GOVERNMENT. Counties not operating under county charters shall have such power of self-government as is provided by general or special law. The board of county commissioners of a county not operating under a charter may enact, in a manner prescribed by general law, county ordinances not inconsistent with general or special law . . . .
Art. VIII, § 1(f), Fla. Const. powers relate to slot machine gaming. Nor is a general power to conduct binding referenda among the enumerated powers. Of course, the absence of a relevant enumerated power is not dispositive. In addition to the provision in section 125.01(1) that the “power to carry on county government . . . is not restricted to” the enumerated subjects, section 125.01(3)(a) provides that the enumeration of powers will “not be deemed exclusive or restrictive, but shall be deemed to incorporate all implied powers necessary or incident to carrying out such powers enumerated, including, specifically, authority to employ personnel, expend funds, enter into contractual obligations, and purchase or lease and sell or exchange real or personal property.” Further, section 125.01(3)(b) contains a rule of liberal construction: “The provisions of this section shall be liberally construed in order to effectively carry out the purpose of this section and to secure for the counties the broad exercise of home rule powers authorized by the State Constitution.” Which brings us back to the constitutional specification of “such power of self-government as is provided by general or special law,” art. VIII, § 1(f), Fla. Const., and the general law provision of the “power to carry on county government” in a way that is “not inconsistent with general or special law,” § 125.01(1), Fla. Stat. (2013). Is a referendum conducted by a non-charter county concerning approval of slot machine licenses at pari-mutuel facilities authorized by the general powers conferred on non-charter counties by article VIII, section 1(f) of the Florida Constitution and section 125.01(1), Florida Statutes (2013)? in contrast, there is no specific constitutional or statutory authority for Gadsden County to act on the subject of slot machine gaming. with taxing powers may issue bonds, certificates of indebtedness or any form of tax anticipation certificates, payable from ad valorem taxation and maturing more than twelve months after issuance only: (a) to finance or refinance capital projects authorized by law and only when approved by vote of the electors who are owners of freeholds therein not wholly exempt from taxation. Speer, 367 So. 2d at 211-12 (emphasis added) (quoting art. VII, § 12(a), Fla. Const.). There is no statute, general or special, which either specifically authorizes or restricts Pasco County with respect to the issuance of general obligation bonds to acquire sewage and water systems and to pledge for their payment the net revenues to be derived from the operation of such facilities and ad valorem taxes levied within the area of the Unit. which requires that the issuance of bonds for which the full faith and credit of the Unit shall have been pledged as additional security, shall be approved at an election of the qualified electors residing in the Unit, such election to be called, noticed and conducted in the manner provided in the Florida Constitution and statutes for elections. Since the bonds proposed to be issued by the county pledge both net revenues to be derived from the operation of the combined water and sewer system and ad valorem taxes to be levied and collected in the area of the Unit, it was necessary to hold a bond election as part of the authorization for their issuance. Id. (emphasis added). The authority to conduct the referendum on the issuance of the bonds was therefore directly based on article VII, section 12(a)—and not on a broad home rule authority to conduct a referendum on any subject. ordinance, for many of Florida’s counties to conduct initiative referenda.” Watt, 491 So. 2d at 593. The challengers thus contended that “many Floridians would be unable to implement casino gambling in their own counties because an initiative referendum on the subject could not be held.” Id. Charter counties have the authority to conduct such referenda under Article VIII, section 1(g) of the Florida Constitution and non-charter counties have similar power under Article VIII, section 1(f) of the state constitution and section 125.01 of the Florida Statutes. Even if some counties do not have currently valid ordinances to spell out the specifics of holding a referendum, we hardly find this to be grounds for invalidating a proposed constitutional amendment. If the proposal is approved and the governing body of a county fails to provide for referenda, an aggrieved citizen could seek redress in the courts. referendum was predicated on a constitutional provision empowering counties to conduct referenda on a particular subject. Here, no relevant analogous constitutional authority exists regarding the subject of slot machine gaming. As the Division points out, in Florida gambling is generally illegal. Section 849.08, Florida Statutes (2013), provides that “game[s] of chance” are illegal. But certain forms of gambling are legal. See, e.g., ch. 550, Fla. Stat. (2013) (the “Florida Pari-mutuel Wagering Act”). And although slot machines and slot machine gaming are specifically outlawed under section 849.15(1), Florida Statutes (2013), in sweeping terms, slot machine gaming is permitted under tight restrictions as laid out by the Legislature in chapter 551. Nothing in chapter 551, however, grants any authority to regulate slot machine gaming to any county. The only role that counties play regarding slot machine gaming is conducting referenda when authorized by law. government unless a constitutional or statutory provision has specifically made it the business of county government to conduct a referendum on the subject. In the absence of such a specific authorization, a county cannot initiate a referendum that will authorize the Division to issue a license any more than the county could itself issue a slot machine gaming license. The general power of non-charter counties to “carry on county government” does not constitute authorization to conduct a referendum to approve slot machine gaming. The referendum conducted by Gadsden County regarding slot machine gaming therefore was not conducted pursuant to a “statutory or constitutional authorization” as required by section 551.102(4). Because the referendum was invalid, Gretna Racing was not an “eligible facility” under the statute. The First District thus was correct in upholding the Division’s decision to deny the license sought by Gretna Racing. So we approve the result reached by the First District and answer the rephrased certified question in the negative. LABARGA, C.J., and PARIENTE, POLSTON, and LAWSON, JJ., concur. LEWIS, J., concurs in result with an opinion. LEWIS, J., concurring in result. explain in more simple and direct terms the reason why Gretna is not entitled to a license to conduct slot machine gambling. There can be no doubt that the legislative amendments and in futuro provisions have added to the confusion in this area of the law. person or under the person’s management or control, any slot machine or device or any part thereof.”); see also §§ 849.16, .17-.21, Fla. Stat. (2013) (defining slot machines, providing a rebuttable presumption that such a machine is “a prohibited slot machine,” providing for confiscation of slot machines by an arresting officer, providing for destruction of slot machines upon conviction, providing for no property rights in a confiscated machine, declaring slot machines and slot machine locations a nuisance, and providing a cause of action for an injunction against such a nuisance); but see § 849.235, Fla. Stat. (2013) (providing a statutory defense for antique slot machines not used for gambling). taken a highly unusual path in providing an expanded definition of eligible facility that will not currently apply to any existing factual predicate but rather will apply and enable a future factual circumstance, that appears to be exactly what the Legislature has done here. Because slot machines are generally prohibited, Gadsden County does not have and cannot assert home rule powers as a basis to support a referendum on slot machine gambling. In Florida, non-charter counties, such as Gadsden County, “shall have such power as is provided by general or special law” and “may enact, in a manner prescribed by general law, county ordinances not inconsistent with general or special law.” Art. VIII, § 1(f), Fla. Const. (emphasis added); see also § 125.01(1), Fla. Stat. (2013) (“(1) The legislative and governing body of a county shall have the power to carry on county government. To the extent not inconsistent with general or special law, this power includes, but is not restricted to, the power to: . . . .” (emphasis added)). Thus, Gretna’s reliance on Watt v. Firestone, 491 So. 2d 592 (Fla. 1st DCA 1986), for the proposition that Gadsden County’s non-charter home rule powers includes that power and authorizes it to conduct a referendum approving slot machines over general law is misplaced. For those reasons, I concur in the result. for Amicus Curiae No Casinos, Inc.